Children who like water sports and want to perform can go to Varnita, Anenii Noi. Since 2016 with the support of the local town hall, a sports master Mihail Chitaica, opened a free school where he trained daily. Dozens of children come to the courses taking place on the Dniester and take the lead in international competitions. His first pupils were those in local schools. Actually, more than 30 children from neighboring districts are trained in the village of Varnita, the smallest is 8 years old. For every child, the coach has an individual approach. "I never argue for the weaker one. Today is this, but tomorrow you will shoot better. They can not be all the first, we have first and last as well", explained Mihail Chitaica. Students regularly participate in local and international competitions where they have very good results. Training takes place daily for several hours. Mihail Furdui is 13 years old and comes for the 3 years at the sports school. He originally came to support a friend. Now they are intensively training for the Romanian championship next month. "On the water I feel satisfaction, adrenaline. I like it", said Mihail. And Catalina Cotelea, 12, chose the canoeing to prove that girls can also be successful in sports. Among the students are also champions: Mihail Jelev won three medals at competitions in Romania. 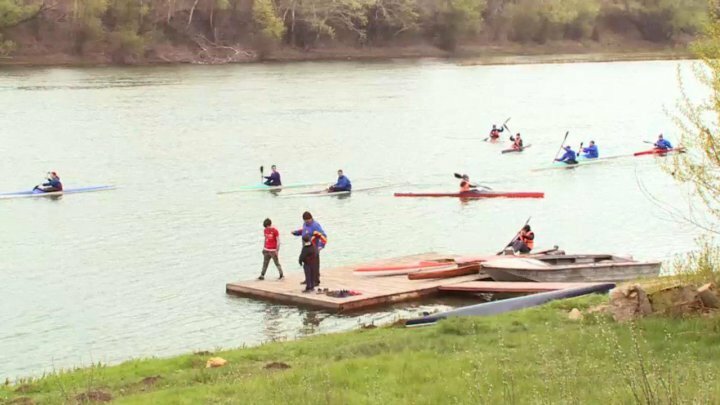 In order to train them, he can train the students for free, Mihail Chitaica is looking for sponsors and wants to implement a tourism project, where he will offer tourists the kayak. The money earned will invest in the development of the sports school.